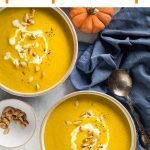 Low Carb Pumpkin Soup is not outside the realms of possibility if you’re on a low carb or Keto diet! 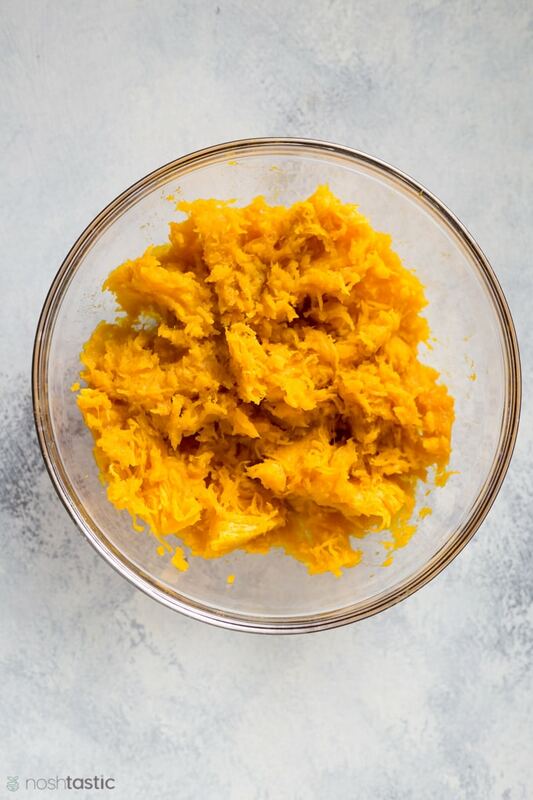 We’ve created a recipe that will still give you all the health benefits of home cooked pumpkin that you love, with a lower carbohydrate count at the same time, a win win, right?! 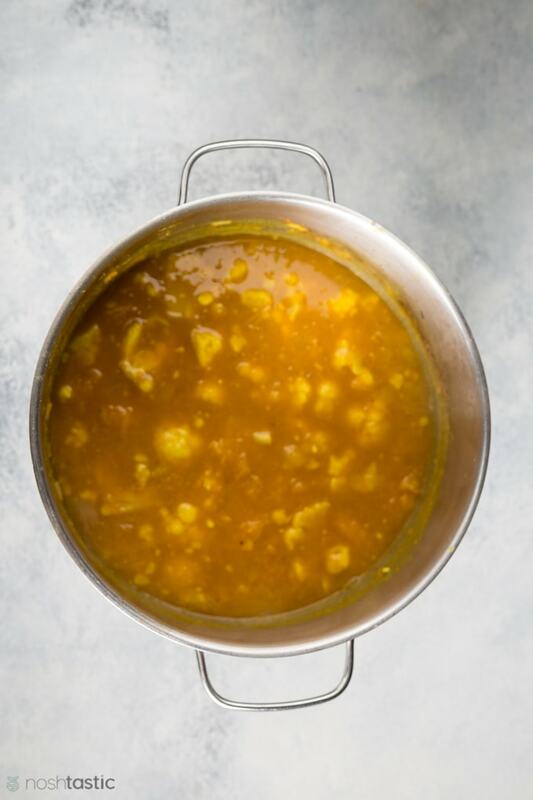 This soup has such a fabulous taste with added warming spices such as cumin and turmeric that marry so well with the pumpkin flavors. The secret to this Keto friendly pumpkin soup recipe is to simply use less pumpkin and replace the remainder with Cauliflower. 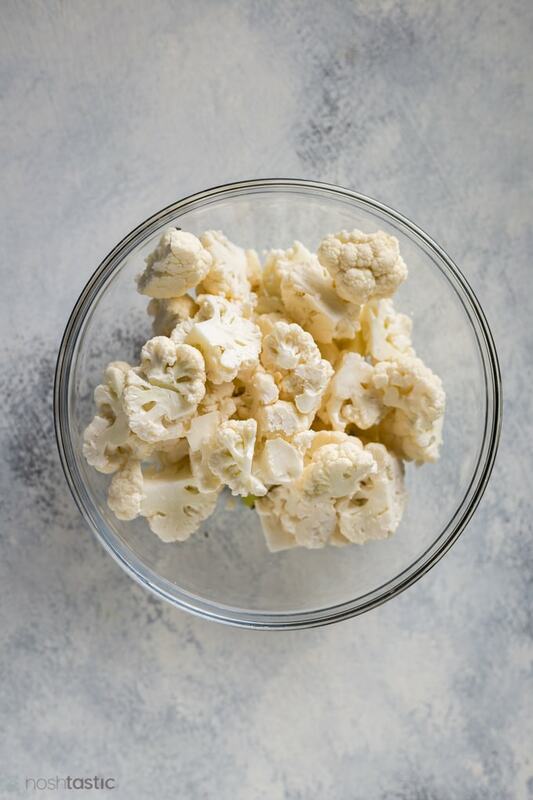 Good old cauliflower, however would we manage our low carb diets without it?! The cauliflower does a marvelous job of thickening the soup while still allowing the pumpkin flavor to come through. If you are not counting carbs or on a keto diet then you should feel free to replace some or all of the cauliflower with fresh cooked pumpkin, but for me I’m sticking with these ratios as I get the best of both worlds in terms of the pumpkin flavor that I love and the low carb version I prefer to eat these days. If you make this recipe as written then it comes in at around 9g net carbs per serving which is not too bad for a low carb pumpkin recipe! This low carb keto friendly soup is very easy to make from scratch, but the first thing you need to tackle is cooking your pumpkin. Please ensure you buy the little soup pumpkins and not those huge ones that are for decorating your porch, they don’t taste very good. It’s important you use fresh pumpkin for this recipe, it simply won’t taste the same with canned pumpkin. You can either cook your pumpkin in a pressure cooker for about 15 minutes, or cut it into quarters and bake it in a hot oven for about 45 minutes, either way works. Then you simply remove the cooked pumpkin flesh and the seeds, and set it aside for this recipe. Start your pumpkin soup by sautéing the onions in a little olive oil. We’re just aiming to soften them and make them translucent, you don’t want to brown them. Then, add the garlic, ginger, turmeric, cumin, salt and pepper to the onion mixture and stir it all together. Next you can add the remaining ingredients including gluten free chicken broth, cooked fresh pumpkin, and cauliflower florets to the the pan and simmer over a low heat for about 20 minutes. 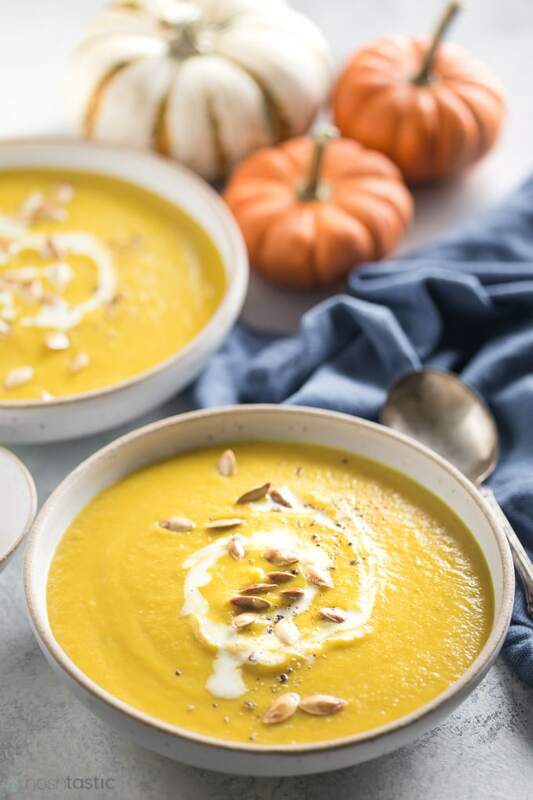 After your low carb pumpkin soup has finished cooking you can add the canned coconut milk and puree it until smooth either by using a hand blender which is the most convenient way, or by carefully adding the hot soup to a food processor or blender. What are the Nutritional and Health Benefits of Pumpkin? It’s easy to just get caught up with the carb counts of certain fruits and vegetables and rule them out on that basis alone, but for many of us vegetables like pumpkin can still be part of our healthy low carb diets. Pumpkin (also knows as Cucurbita, which is the Latin for gourd) is a nutrient dense vegetable. It contains antioxidants, vitamin C, vitamin E, and plenty of beta carotene. It’s also full of fiber which will help reduce the total carb count and give us a lower net carb count overall which is good news for pumpkin fans everywhere! And don’t forget the pumpkin seeds! When you cook your pumpkin be sure to save and wash the seeds, you can roast them in the oven with a little salt and oil, they make a terrific low carb snack. The pumpkin seeds are also full of valuable nutrients such as magnesium and zinc and they are high in fiber so they fit really well into the ketogenic lifestyle. watch my YouTube video of Low Carb Pumpkin Soup! 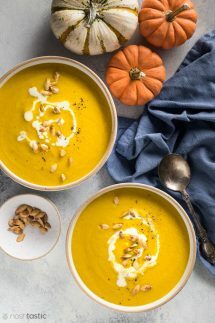 Keto Low Carb Pumpkin Soup you'll love, it's been adapted to be lower in net carbs but still full of flavor. It may be helpful to watch my short recipe video first, it's right above the recipe card. Bake for 45 minutes to 1 hour or until soft. Add 1 cup of water, place the whole pumpkin on a trivet and pressure cook on high pressure for 15 minutes. Add a little olive oil to a large pan over a medium heat and add the chopped onions, saute for 4-5 minutes or until translucent. Add the gluten free chicken broth and cooked fresh pumpkin, cauliflower florets to the pan and stir well. Simmer on a medium low heat for 20 minutes. After 20 minutes add the coconut milk and blend using a hand blender, serve hot. 9g net carbs per serving, serving size about a cup.